Not all of us are fond of the city life; some would rather retreat to the rural landscape for a more peaceful and quiet existence, where things like traffic, noisy neighbours, and pollution are foreign concepts. Unfortunately, the city is where the money is, which means it’s not in everybody’s means to opt for a country life. But those who are lucky enough to have a weekend house in a lush landscape certainly enjoy its advantages – and today we discovery just such a house here on homify 360°. 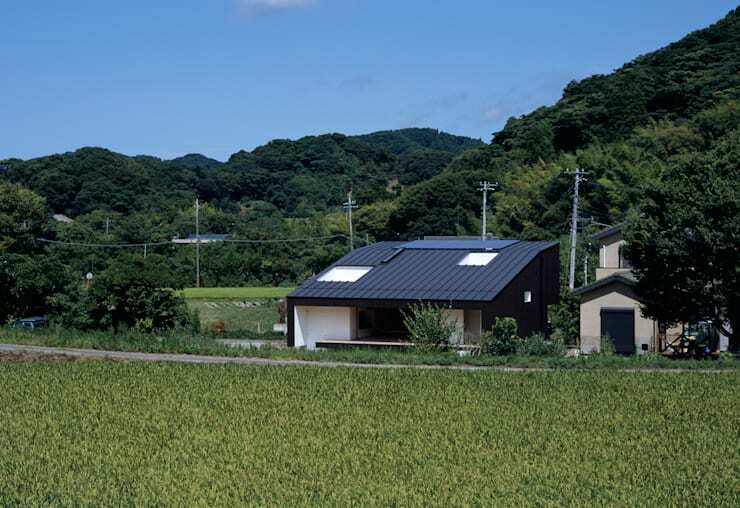 A married couple who live in the hustle and bustle of central Tokyo, Japan, commissioned an expert architect to create an ultra modern residence in the middle of the green and flourishing countryside where they could enjoy their weekend breakaways. How beautiful does this house stand out from the rural backdrop – rich dark wood clashing with crisp white surfaces, both of which adorn a highly modern structure. Not a typical house you would associate with a country landscape, right? 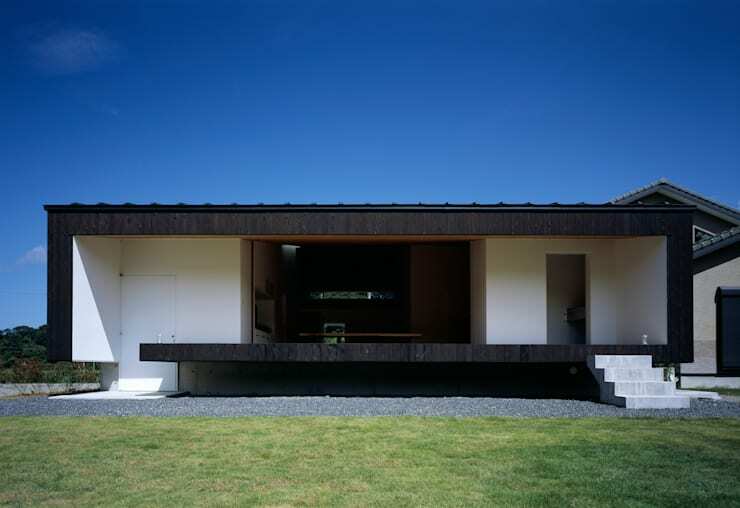 The front facade that faces the road forms a most welcoming opening (thanks to the wide open sliding doors), giving us a glimpse into the house’s interior design and styles. 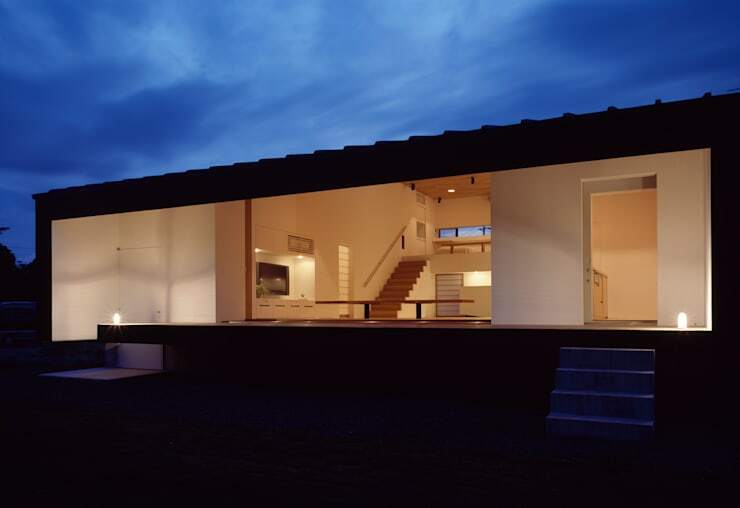 Viewing the house from further away gives us a greater sense of just how striking it looks in its location. 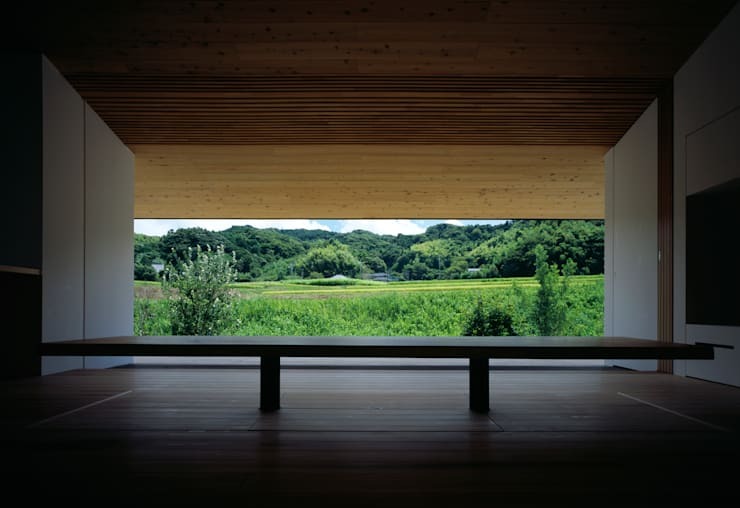 Looking more like an ultra modern barn than a house, the structure demands that its presence be known among the lush fields and green scenery. As we saw from the facade, the house has a sloping roof. This forms a rather striking effect once we enter the interiors, as the ceiling expands and makes the space much bigger than it appears from the outside. 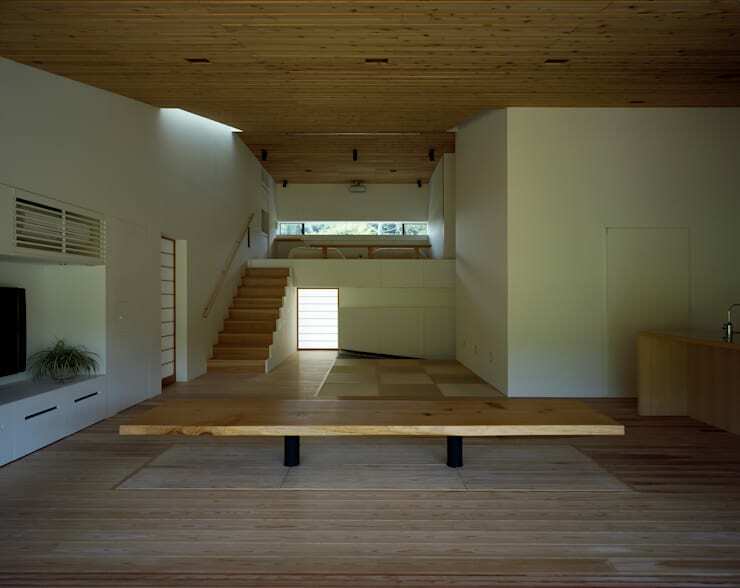 A decent dose of wood was used for the interior coating: ceiling, floor, staircase, and select furniture pieces all flaunt a dusty timber look which combines beautifully with the surrounding off-whites of the neutral palette. Viewing the house’s open side from the upstairs bedroom, we get a sense of just how powerful that entrance is. 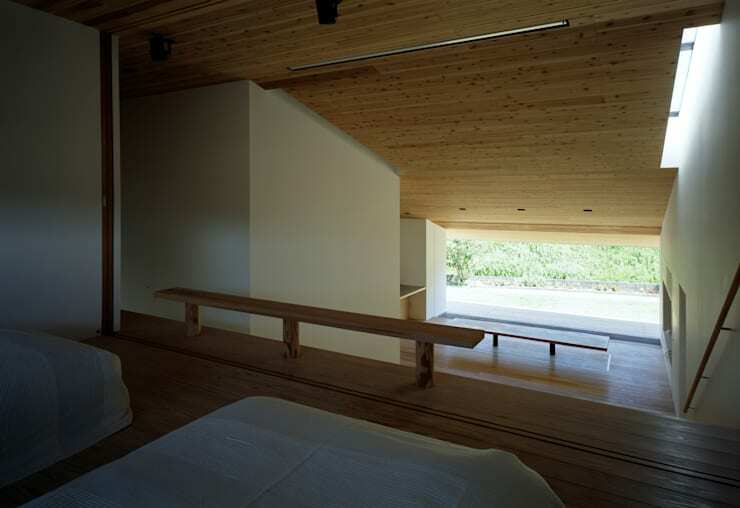 A fantastic force of natural light comes streaming in, lighting up the entire ground floor while also ensuring ample fresh air to circulate throughout the house. Notice the minimalist approach that the designers took in terms of furniture and décor. Would some additional patterns and colours make this house any more beautiful? Most definitely not, as its ‘less is more’ look works fantastically well as is. Imagine sitting down in front of that grand opening to enjoy your afternoon tea, with that lush and gorgeous greenery serving as your view. Much better than seeing an abundance of houses and neighbours, or don’t you agree? Once dusk approaches and the interior lights are switched on, that is when the house becomes simply magical. Like a warm ember, it illuminates itself in a charming glow that seems most welcome from the outside. Wouldn’t that wide open door allow for a perfect breeze of cool night air to blow indoors? Most definitely! Want to see some more examples of country living? Then check out: The Epic Country Home.